Project Woman To Woman Inc.
Project: Woman to Woman, Inc., a faith-based organization developed to empower women and girls; that tragedies become triumphs. 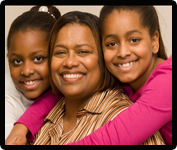 Project: Woman to Woman, Inc. offers a variety of services which include but are not limited to inspirational and motivational workshops, enrichment camps and programs, conferences, mentoring, and counseling. Supporting women and young girls facing life's difficulties and successes. Cultivating women and girls' self-esteem, self-worth and self-restoration through empowerment and motivation. Speaking to the hearts and minds of women and girls that tragedy turns triumphant. A not-for-profit organization recognized as tax-exempt under Internal Revenue Code section 501(c)(3).